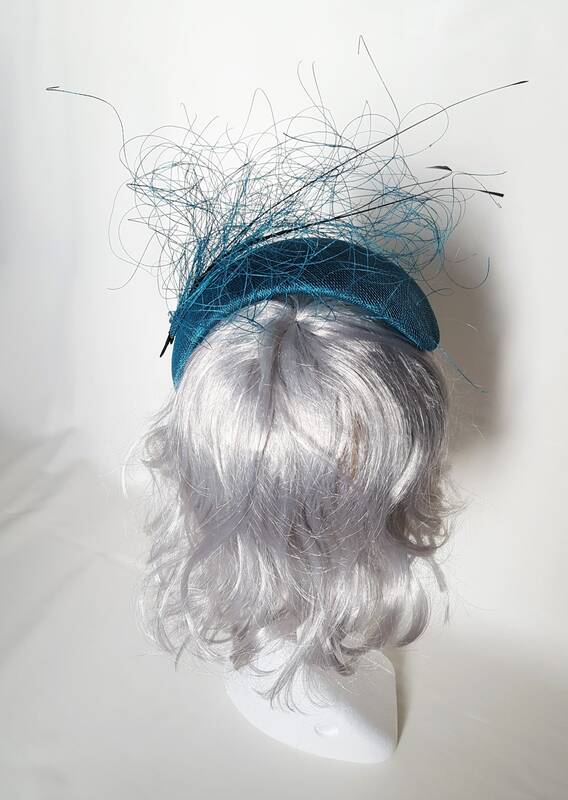 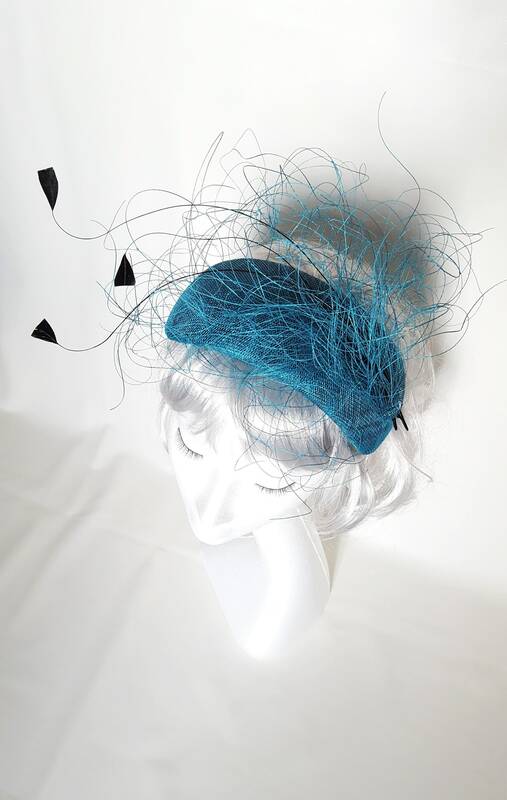 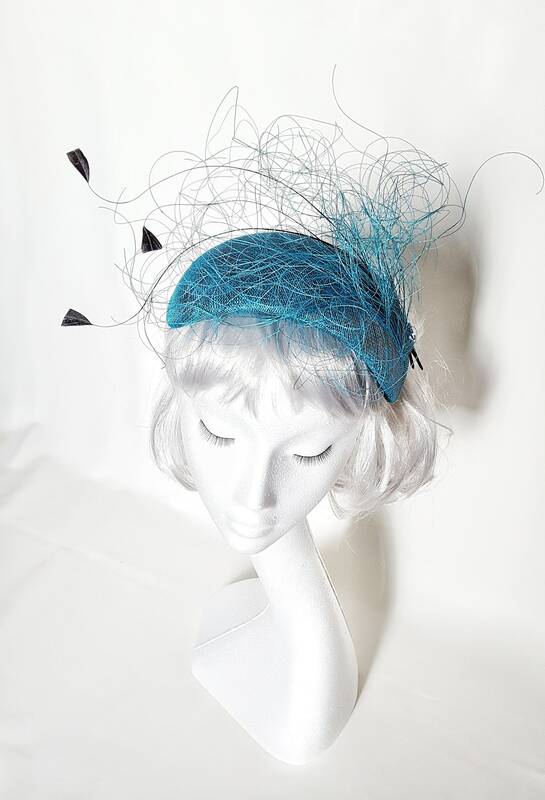 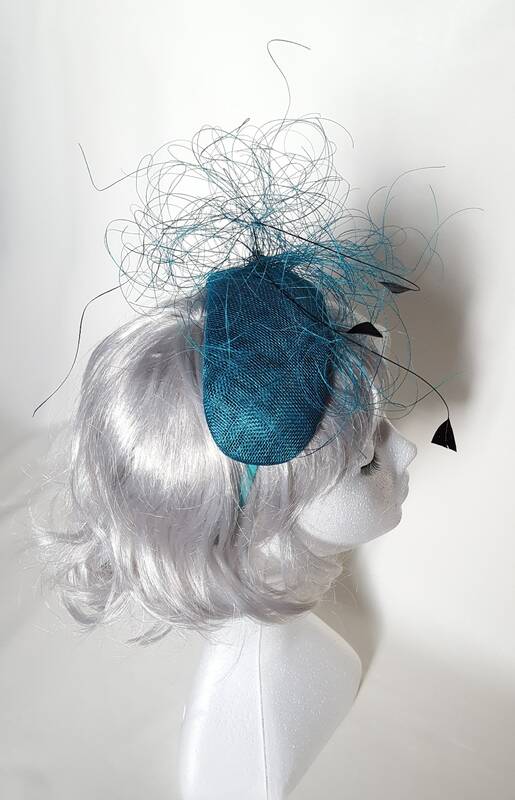 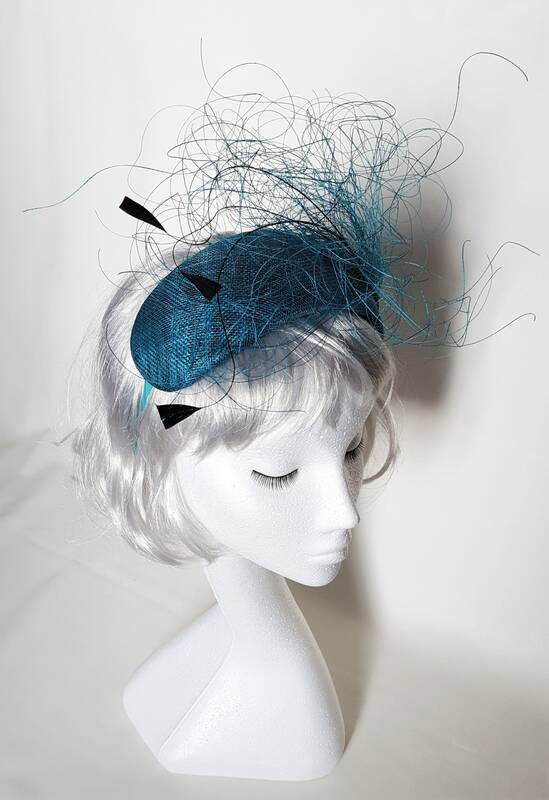 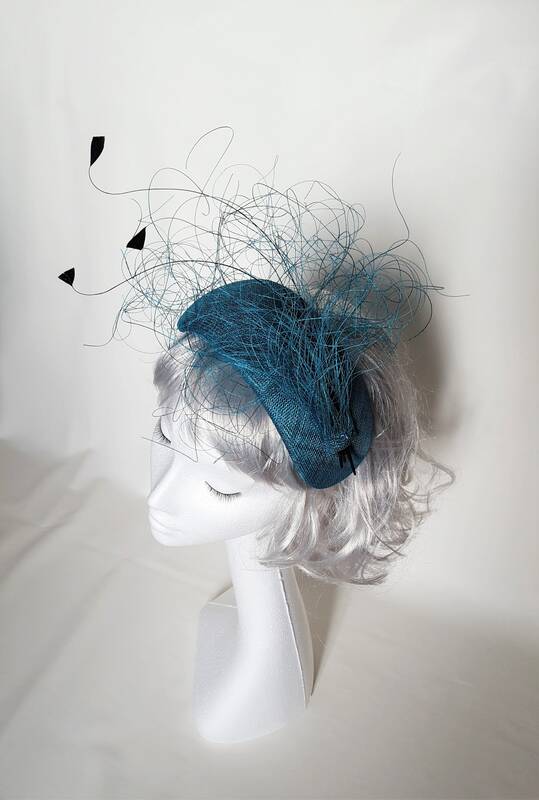 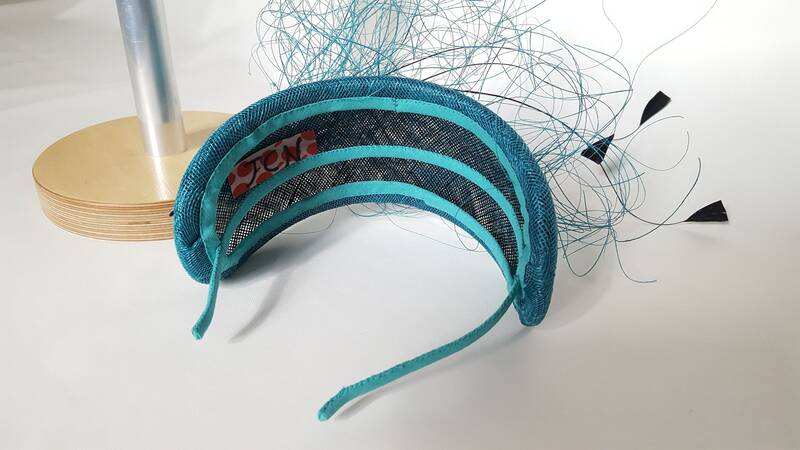 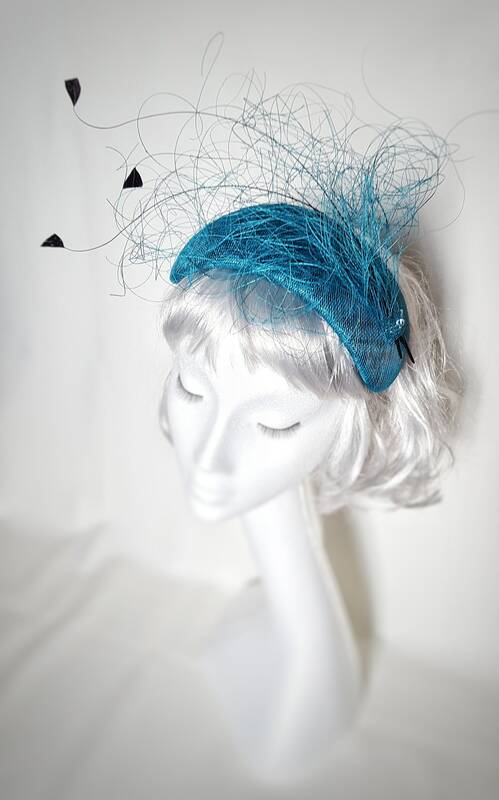 Hand-blocked crown in a mix of teal blue and black sinamay, rooster feathers, stripped sinamay, headband in metal with cotton trimming. 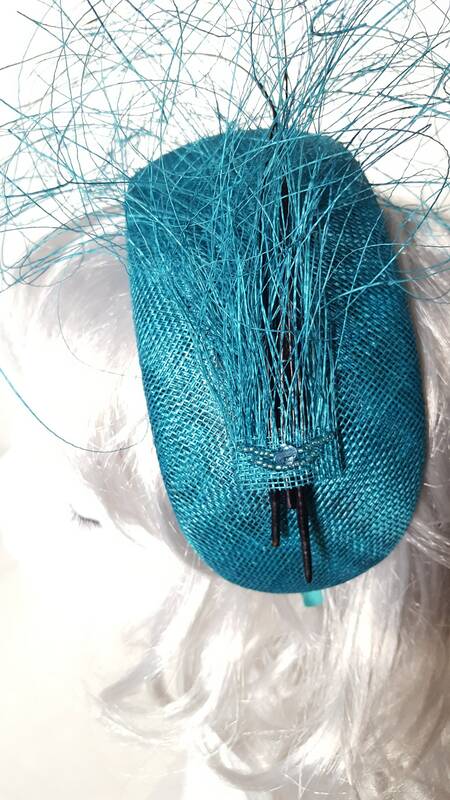 Shiny glass beads at the base of the crown. 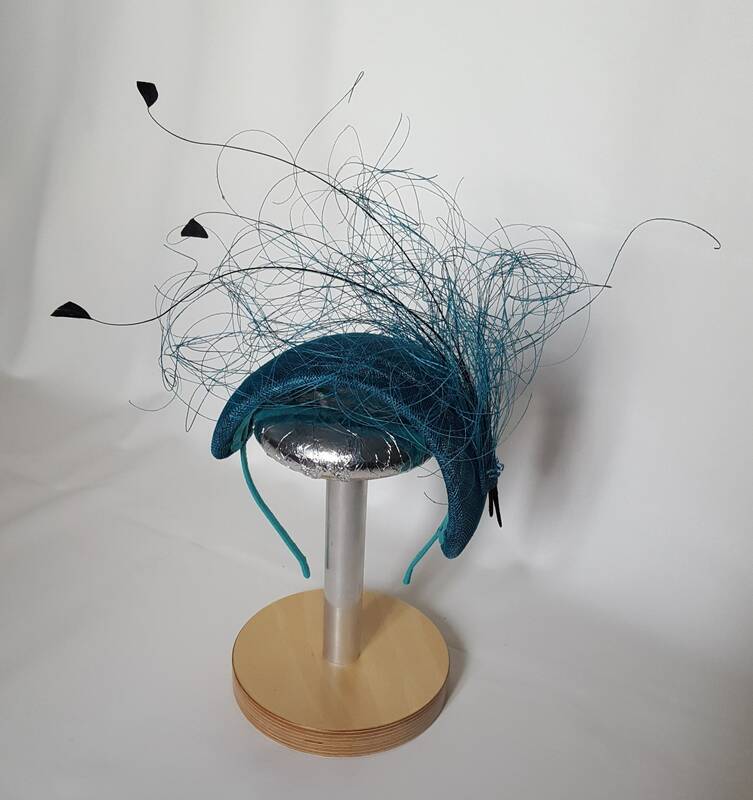 This piece is perfectly symmetrical so you can wear it with the strands on the left or on the right, as looks better on you.